Bruce has provided Human Resources leadership since the early 1980’s and he successfully supports M-Pact, Inc.’s clients by continuously seeking to improve the effectiveness and management of the client‘s “Talent Pool” of employees and maximize their business opportunities. Bruce has earned the trust and respect of his corporate clients by fully understanding each client‘s business, industry and/or service sector, plus their customers, suppliers and competitors – fully understanding the management styles, operating philosophies and corporate cultures that are unique to each of his clients. Bruce’s corporate / international, senior-level, Business & HR leadership experience, plus his executive recruiting skills, gives Bruce a significant competitive advantage for his clients by seeking mid to senior level executives, who in turn have the skills and personality to achieve the client‘s goals and match the client‘s values. It’s this ability and experience that has spurred an ever growing demand from individual clients – asking Bruce to coach and guide them through the entire job search process. Bruce creates effective resumes for individual clients and teaches (through one-on-one counseling and 100’s of compelling seminars), how to lead, manage and execute an effective Job Search strategy – learning how to win at the Job Search game. 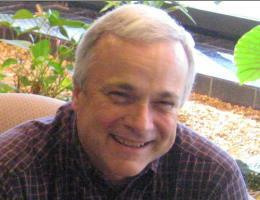 Bruce has written / published numerous newspaper and magazine articles on employment and is the author of “Taking Control – Job Search Strategies” ©, the How-To-Book on how to conduct a strategic and successful job search – learning how to Advertise, Market, Sell and Close-the-Deal on your next career opportunity. Initially written / published in 1997, the book is revised annually to include the latest techniques and technologies to help you succeed. Bruce is a graduate of the University of Waterloo and holds both the United States Senior Professional in Human Resources designation (SPHR) and the Canadian Certified Human Resources Leader designation (CHRL).